How many people in your life know the real you? A human in a state of nature is feral, irrational and unpredictable, but we learn to sensor ourselves to fit into the society around us. My friend says her ability to network (like no one I’ve ever met) comes from years of ‘performing herself’ as an angst riddled adolescent. She had built a reputation on being vibrant and positive, the life and soul of the party, but it got to the point where she would always default to playing herself and never just being. She described the notion as creating a caricature of herself that she could turn on and off depending on how brave her authentic self was feeling. Over time she's developed more awareness and control, and now uses it only when absolutely necessary. Everyone does this to a certain extent. Part of it is performing, and the other part is censoring parts of ourselves out, depending on the company and context. When pondering this notion I held my head up high in pseudo-ethical superiority, thinking that I’d never done this in my entire life. But when I started to consider the different forms of authenticity I was stunned into admission. When we're teenagers, trying to figure out who we are, we go to extremes to push boundaries in terms of identity and lifestyle, to find out where we fit in the balance of things. When it's subtle you can't really see those facets of yourself, so we try on different skins to see which ones suit us the most. I remember a particular phase, when I was about 17. I reimagined myself a completely different person. I changed my accent, the way I dressed, and used the time to explore different versions of myself without fear of judgement or being called up on any of it. It’s all part of the process, but if we're not careful these things will stay with us out of habit, even when rendered unnecessary. Maybe we need to self-reflect on these things throughout our lives as well. We are in a constant state of becoming, arguably less once we’re through adolescence, but we don't suddenly morph into the perfect form of ourselves the minute we hit 30. Perhaps it’s worth taking some time to look at our behaviours and heaped up sense of identity and having a good spring clean; clearing out the junk from the back of the cupboard to make room for space, light and clarity. Think of a person when they first come out of the closet. You are finally living truthfully, after years of hiding, so you tend to live a heightened version of yourself for a while, in order to make up for those lost years. When it comes to gender and sexuality, people are now starting to question these things in an accepting and fluid way, where their identity is entirely their own, without labels and with no cut off point where the music stops and they have to stay in their seat forever. We are forever morphing into ourselves, in every way. I'm also reminded somewhat of an article I read about an old Etonian talked about the ‘Eton Disorder’, where ex-students from privileged backgrounds, desperate to fit in with everyone, stumble around the place with fake accents and metaphorical moustaches, until they accidentally run into old school friends in the street who are ‘out’ and the cat flops out of the Birkin bag. I thought about the behaviours I might have adapted over the years to fit in but weren’t necessarily authentically me. One of the specific things I realised was that I censored myself in telling stories about my background around certain friends, so as an experiment I slipped a story about growing up to a group that I’d never usually share it with. It was a boring story about riding a horse and growing up next to a strawberry field, which is of next to no importance other than the fact that I’d never mentioned where I grew up at all. ‘I’m just trying to be my full self around you’ I said. ‘We realise that and we love you for it’ they said, knowingly, as if they’d seen all along and had been waiting patiently for me to out myself as a regular visitor to fruit farms and stables. It was a small thing, but the level of acceptance I experienced in that moment was incredibly cathartic. It’s not a bad idea to sift through the crap like you would your kitchen cupboards: keeping the good, throwing out the bad, and organising it in a way where you can healthily utilise your discoveries. With every small exploration you will sink into yourself a little deeper, and it will feel good. No matter how hard you try, the real you is going to be visible in the long run, or was the whole time - so you may as well go with it, and the people who don’t like it probably weren’t ever worth it in the first place. Besides, the big wins in life usually come when you care less what people think and just do you. If you can catch yourself just ask - If I am trying to hide something, am I doing it consciously and is it for a good reason? Sometimes it’s useful, especially when it comes to networking or behaving professionally, or when you’re trying not to swear in a church or in front of children. Sometimes we’re worried about exposing more of our real selves to the people around us than we feel safe to, and sometimes we haven't even been honest with ourselves about what those truths and fears are. Every aspect of our identity adds up in small parts to form the person everyone sees, but no matter who you are, someone somewhere will always be judging you, so you may as well be yourself - wearing a mask all day is exhausting. Kate-Lois Elliott is a writer, producer and actor. She has contributed for publications that include VICE, Caboodle, Femini, XYZ Magazine and Mouth London. She is also co-host of the Podcast Diversify. 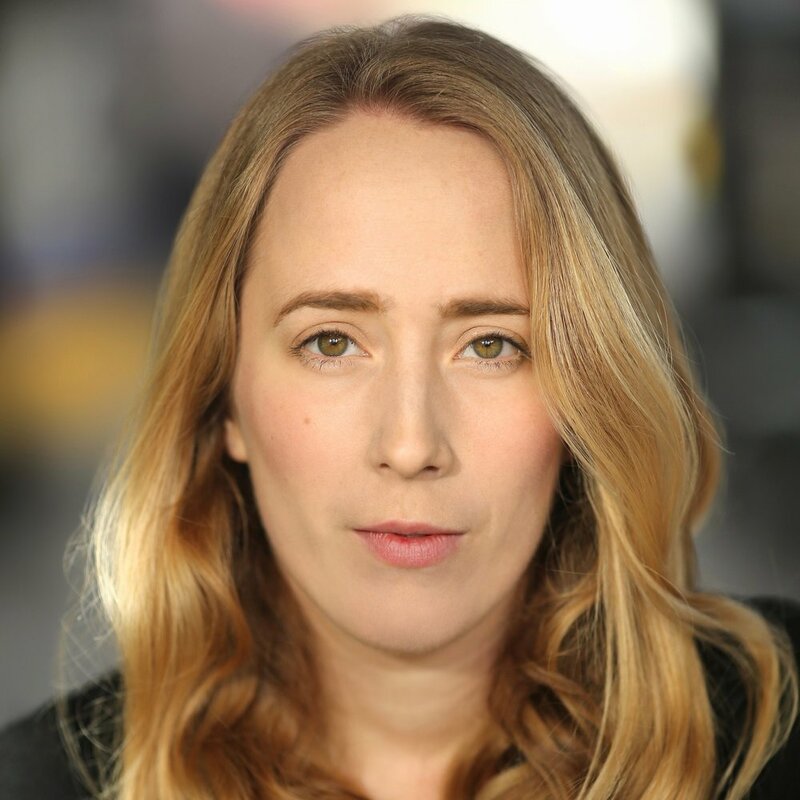 Kate was the assistant editor for The Shapers Project book with The Creative Society, Jazz FM and Mishcon De Reya, has had her short fiction read out on Wandsworth Radio/Either-Author and had her work staged at Theatre 503. She regularly champions first time playwrights with her company Backbone Theatre, who run workshops and readings at London venues. As we find ourselves in the midst of Spring, with birds tweeting and warm sun rays tickling our faces, it seems a good idea to lighten the food that nourishes our bodies to match a lightness of the days and of the season. Give these ‘easy oats’ a try. Elle Daniel, Yoga Teacher and Balance Garden columnist, looks at how ‘aligning your body’ in yoga is about so much more than the shapes you are making. In this interview series, Lauren Bennett chats to people who do their jobs for more than the money. She delves into what keeps them motivated and gets a behind the scenes glance at the UK’s most fulfilling workplaces. Check out the first ‘More Than a Payslip’ piece today. Self-esteem is our own personal evaluation of our self and our own worth. It includes values, beliefs about ourselves, confidence and our emotional states. Jen Woodward explores what might be affecting your self-esteem and presents some healthy ways to help lift it.